In 1930 the Commander of the Arab Legion, Peake Pasha (then Lieutenant Colonel Frederick Peake) bought himself a de Havilland Moth and learnt how to fly from an RAF instructor. The Legion then had to clear landing strips at all their posts in Trans-Jordan so Peake could make his visits of inspection by air. During World War II the two RAF stations at Amman and Mafraq remained fully manned and combat ready but were only needed as staging posts. After the war the two stations no longer had operational squadrons but remained as important staging posts between Cyprus, Palestine, Egypt, Iraq and the Arabian Gulf. 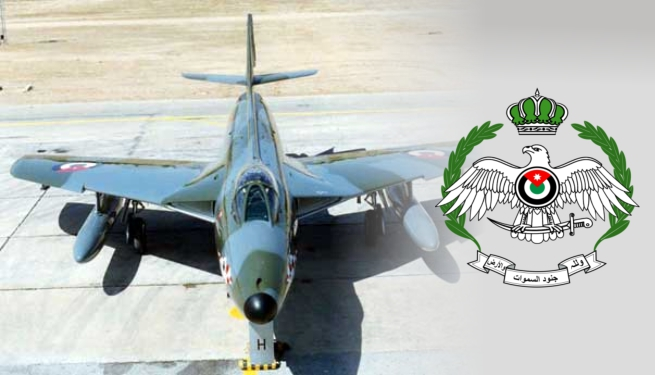 When Britain gave up the Palestine Mandate in May 1948, RAF Amman was reinforced. The Arab Legion crossed over the River Jordan on May 15 and held East Jerusalem and the West Bank from the newly emerged State of Israel. They had no air support. On June 1, 1948 at 03.25 Amman airport was attacked by Israeli twin engined aircraft. Two Anson aircraft were damaged as the result of a direct hit on the main hanger. One of the results of this raid was that King Abdullah was even more determined that an air force should be formed so Jordan would not be in the position of relying on the British RAF for all air support. The King wanted Jordan to be able to defend itself in the air as well as on land. The Jordanian Government had proposed to the British Government the establishment of a small air force but it was not until 1948 that Glubb Pasha (Lieutenant General Sir John Glubb, Commander of the Arab Legion, from 1939 to 1956) received any answer. 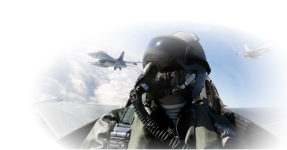 The British suggested that a Jordanian be trained in flying, so in July of that year planning for the new Air Force began with recruitment and training of pilots and engineers. Lieutenant Amer Khammash, who was serving in the Artillery of the Arab Legion (later Lieutenant General and Chief of the General Staff of the Jordanian Armed Forces) was chosen by Glubb to train with the RAF on a two year course. Lieutenant Khammash passed with flying colours and returned to Amman in July 1950. The first British Commander, Wing Commander Fisher RAF, was then appointed. In May 1950 it was decided to establish a training flight and a small air observation squadron to consist of six Austers (unarmed reconnaissance aircraft). 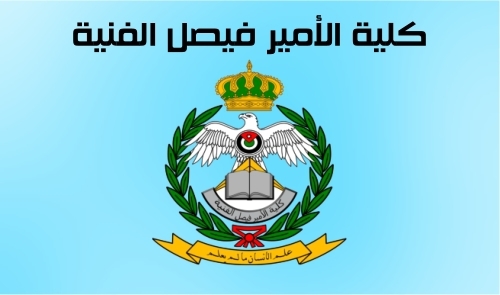 The existing communications flight would be absorbed into the new force to be known as the Arab Legion Air Force (ALAF) with the functions of communications, AOP, reconnaissance and air intelligence.